- Not the mirror - to implement than actual change of forms in the objects: In a parking lamp, a trash can, a foundling and three bike racks refraction will actually write. The optical distortions of precedent water remain as cuts and creases in the material objects, when the water is decreased again. Because come together here of light, air and water space in a sculpture, the water effects remain even in the dry. Standing side by side, the four objects now an imaginary water line. The LEVEL PETRI reminiscent of what has been a water level. The state of emergency will be generated by the mighty flood regularly, also leaves a slightly skewed Park Lamp, a slightly tilted waste one and a bicycle rack that appear to be advised by the flooding of the Lot. The proposal does not include the addition of non-local objects, and no impairment of the designated parking structure, but takes almost completely the present Petri Park plans whose functional properties and positioning. The art center was found after heaping presence of suitable objects for the Petri-level. 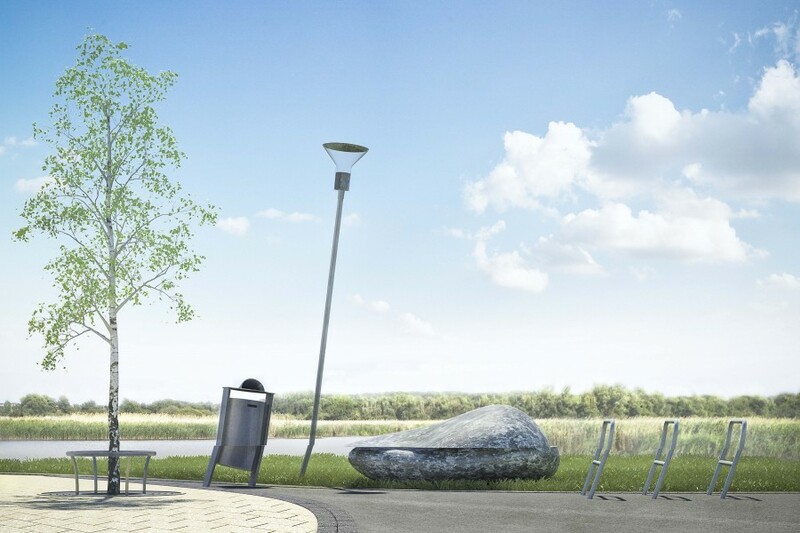 The Ensemble-bin, Park Lamp, Findling and Cycle is an absolute intersection of art and Park. The four standing together objects are einzugesehen at once, whereby the imaginary water line is visible. The artistic idea Petri level was specially developed for Petri Park. The location reference this art proposal is absolute. 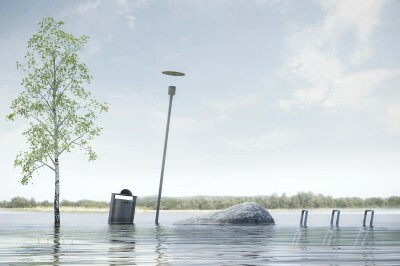 The found environment and even the flood are the subject of this art proposal. The local weather materializes in the art objects and compacts the art proposal also time specific. All items remain available, the burning lamp, can be used the bike racks, just emptying the trash can is complicated, which is why its invisible closure is being considered and a further dustbin could be set up as a substitute in the vicinity. One more side benefit of the artistic work is probably the fact that the phenomena of the weather and lighting calculations can be taught as on a naturalistic trail, like schools and families with children in exploratories perceptual phenomena get closer.